If you read the earlier posts listed above, you know the whole reason for this trip was to visit my brother who is living in Mahahual, Mexico. 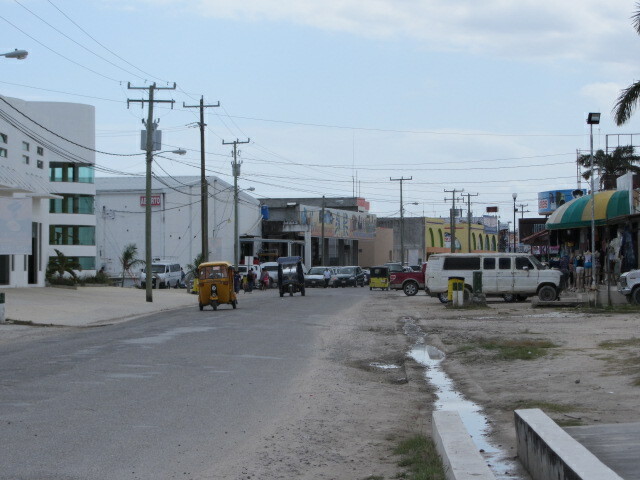 While Chetumal is not normally high on tourist destinations in Mexico, it is the ‘big city’ in the region where my brother lives…about 1 ½ hours away from Mahuhual by car, slightly longer by bus. 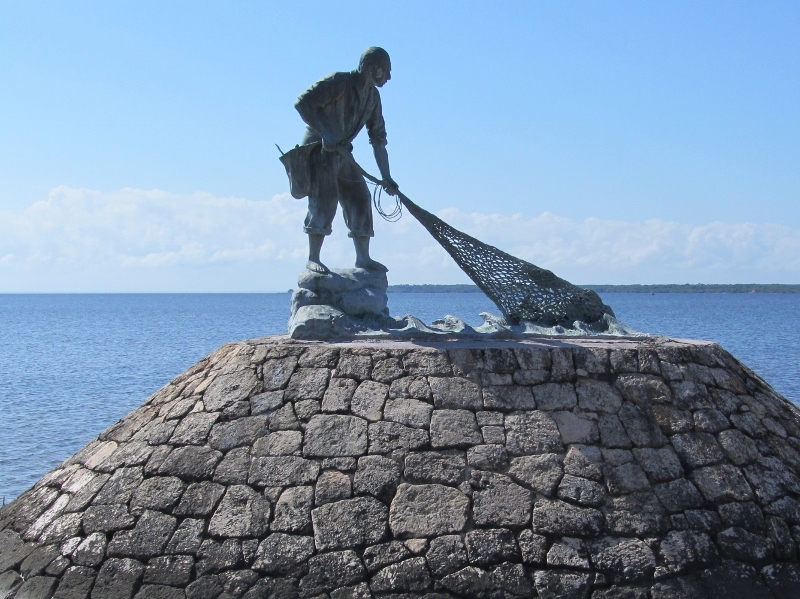 If he needs to go to a doctor, get new glasses, do any serious shopping or renew his VISA, he heads to Chetumal. 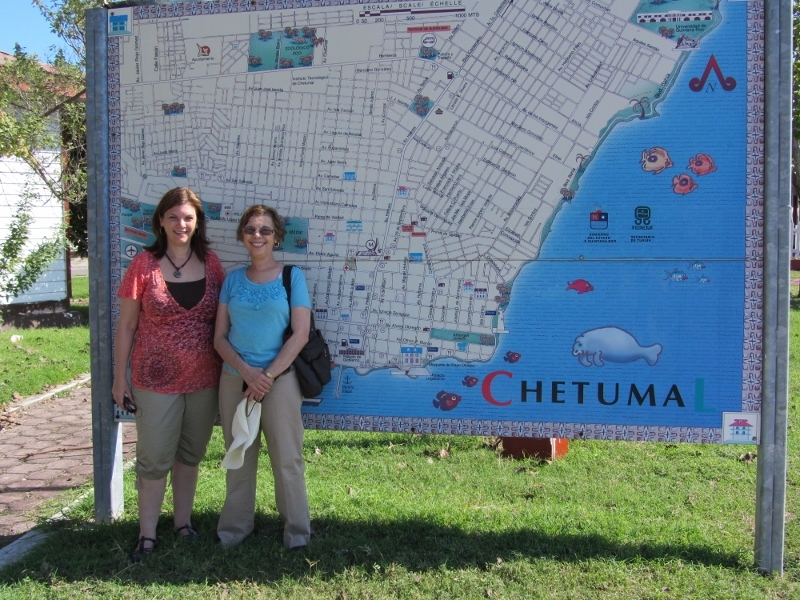 There really isn’t a lot to do in Chetumal for visitors. We spent most of our time talking and exploring the streets near our hotel. 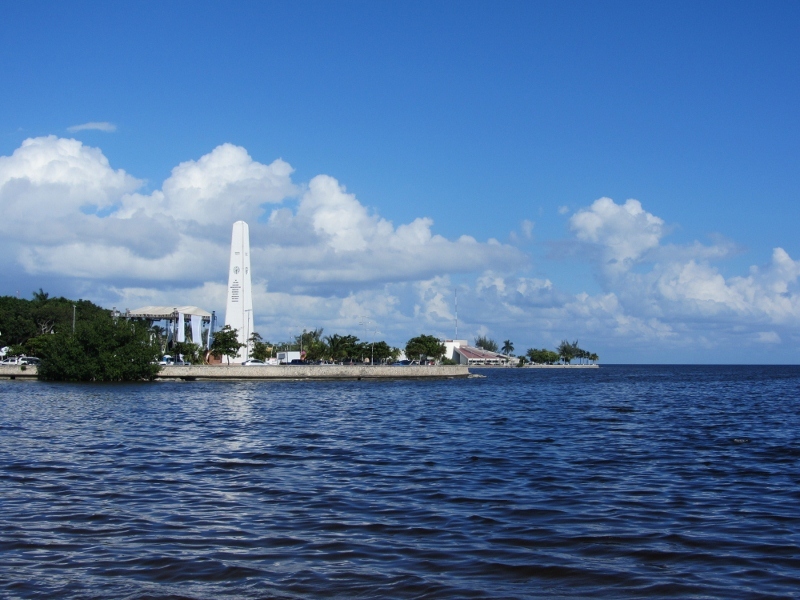 Most travelers use Chetumal as a place to grab a hotel en route to Belize or as a base for exploring nearby Mayan ruins. If you ever make it to this corner of the world, here is my take of the biggest attractions in town. Museums really aren’t my idea of a fun afternoon. 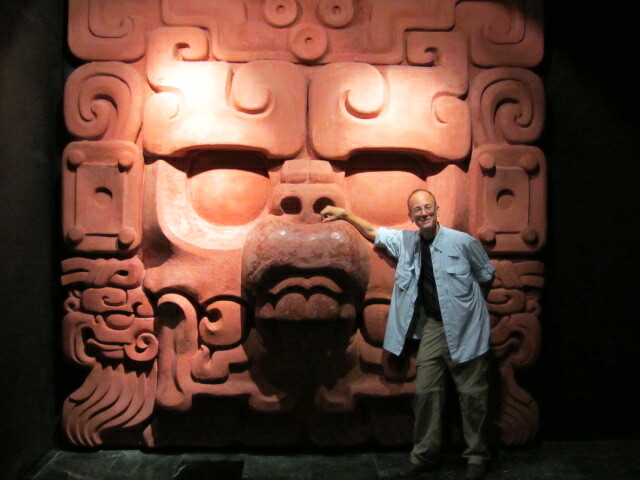 Still, everything I read about Chetumal said that the Mayan Cultural Museum was THE thing to do in Chetumal. 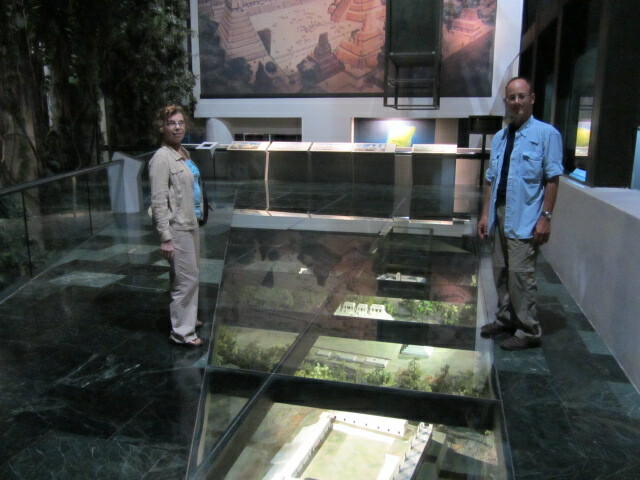 It was also just a block from our hotel and with a $5 admission fee, we planned a visit. 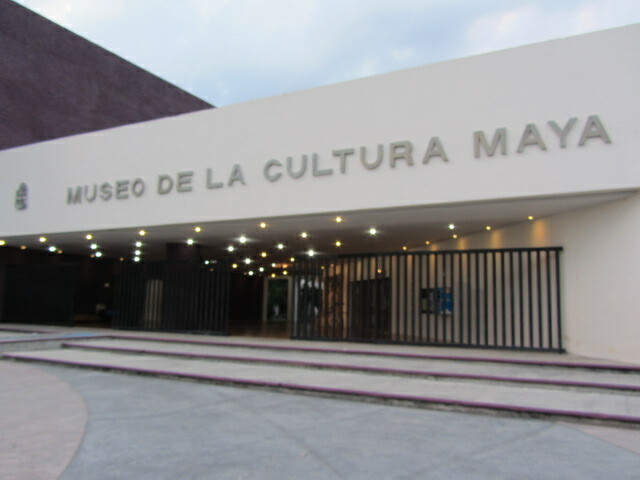 The museum has a small outdoor garden and a relatively small building. It was the perfect size for someone like me who would have gotten bored if it was much bigger. 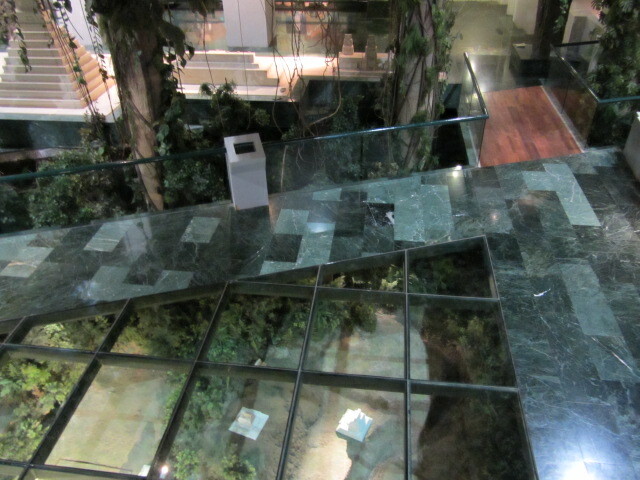 With only a handful of visitors inside, I enjoyed the modern architecture, decor and displays, and took advantage of a chance to take some pictures. I had read that this museum was interactive. Not so much. There wasn’t anything hands on to do and the small TV monitors around the museum all seemed to be out of order. Unless you are really into history, an hour is more than enough here. When I go on vacation, I like to hit the local open air markets and find some souvenirs, but I’m not into duty-free shopping. 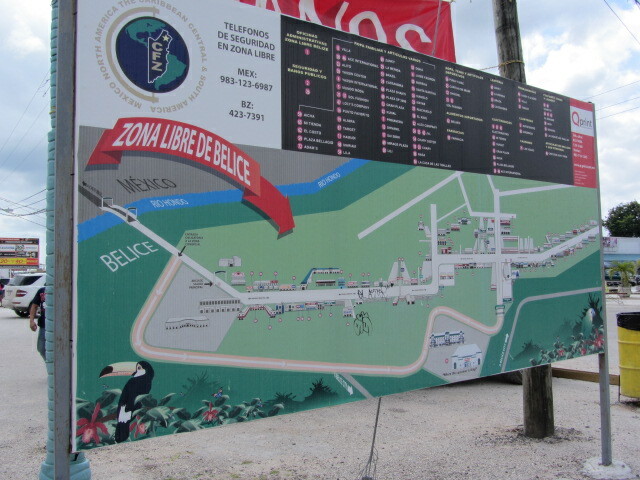 However, my brother explained that the Free Zone is actually in Belize and you can cross the border from Mexico, go shopping, and carry everything back over the border without paying taxes. He heard it was a huge shopping complex that sold both fancy duty-free items and local souvenirs, but had never been there. 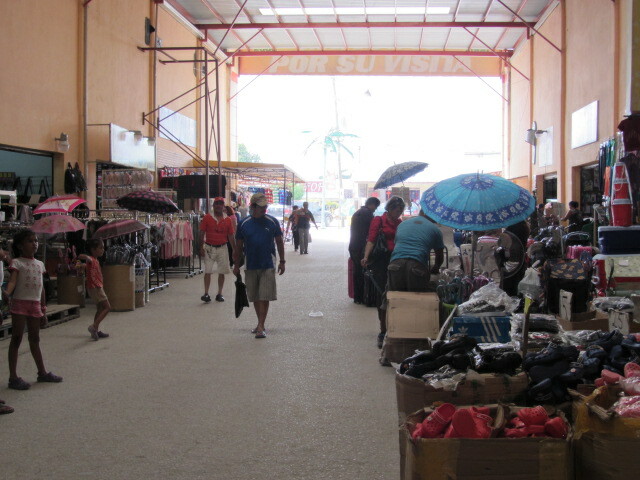 We decided to check it out as he uses Chetumal for both his personal shopping needs and for things they need for the resort he helps manage. 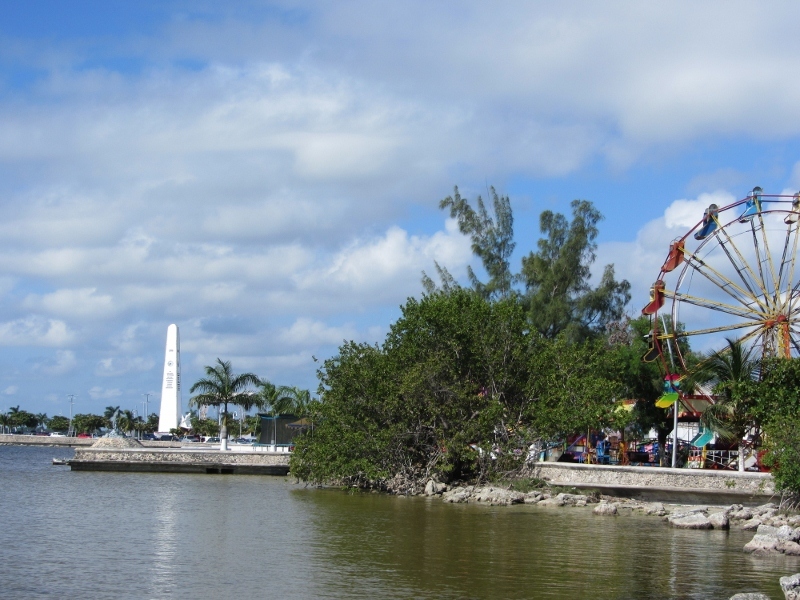 Plus, with not a lot to do in Chetumal, the Free Zone is the other big attraction listed in every guidebook. The shopping district is basically one very long jagged street. The sidewalks and streets are in pretty bad shape giving the entire strip a rundown feel. It is lined on both sides with shops that pretty much carry the same things as you would see in town plus some brand name products. With very little shade and almost no place to sit down, the walk in the hot sun wears you out pretty quickly. There are a few places with a handful of plastic chairs and tables for lunch, but very little variety if you don’t feel like eating at a mom & pop Mexican stand. We managed to find a Chinese restaurant that had a couple dozen plastic tables with chairs under a little shade. The menu was all in Spanish and the workers spoke limited English, but we managed to decipher it enough to order dishes that were similar to what we could have ordered at home. After walking about 2/3 of the Free Zone strip, we had enough. 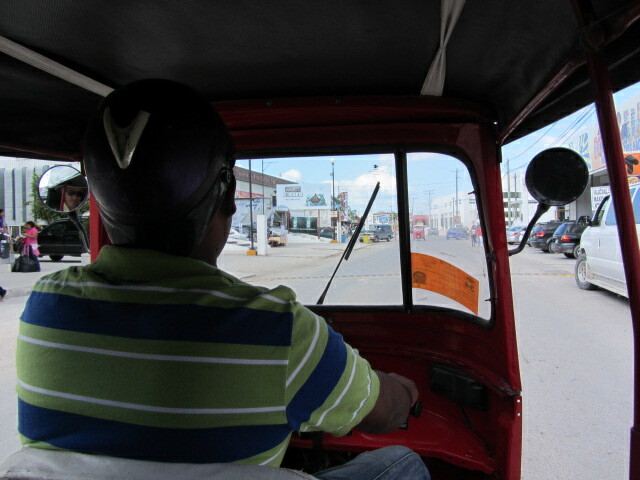 We flagged down one of the 3-wheel motorized cart taxis for a ride back to the border. Don’t forget your passport and tourist ID card (given to you when you enter the country). You are definitely crossing the border. 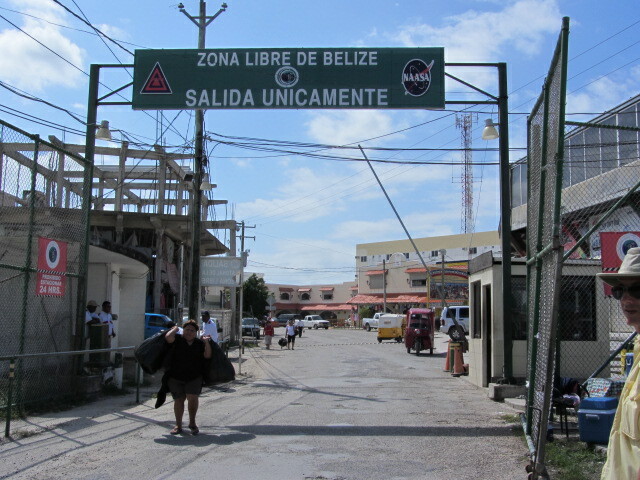 You have to go through immigration as you enter Belize and to get back into Mexico. If you are really into shopping, then by all means schedule a visit. Plan for a few hours. If not, you could probably skip this since the majority of stores are geared towards local residents or carry the same stuff you can get in town or at an airport duty-free shop. 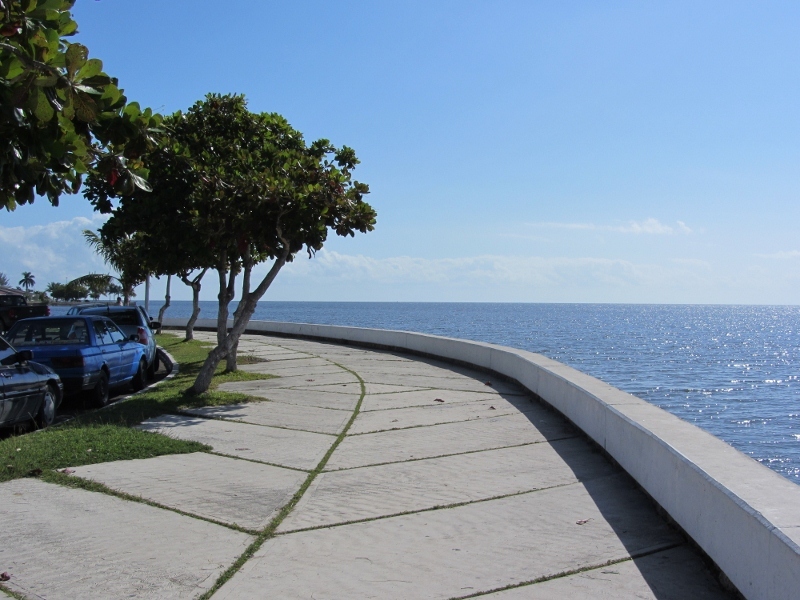 Taking a walk along the Bay of Chetumal was my favorite thing we did in Chetumal. 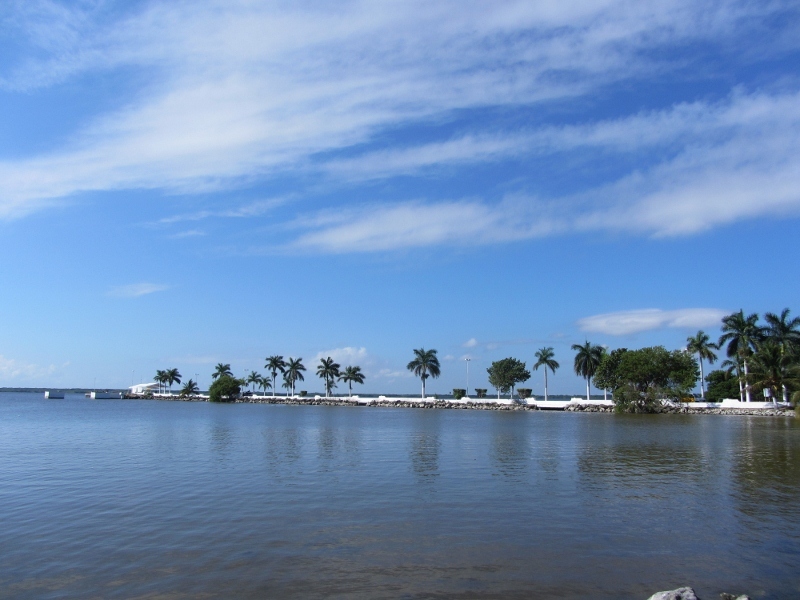 The street bordering the bay is called the Bahia, and is lined with nice restaurants and expensive homes. 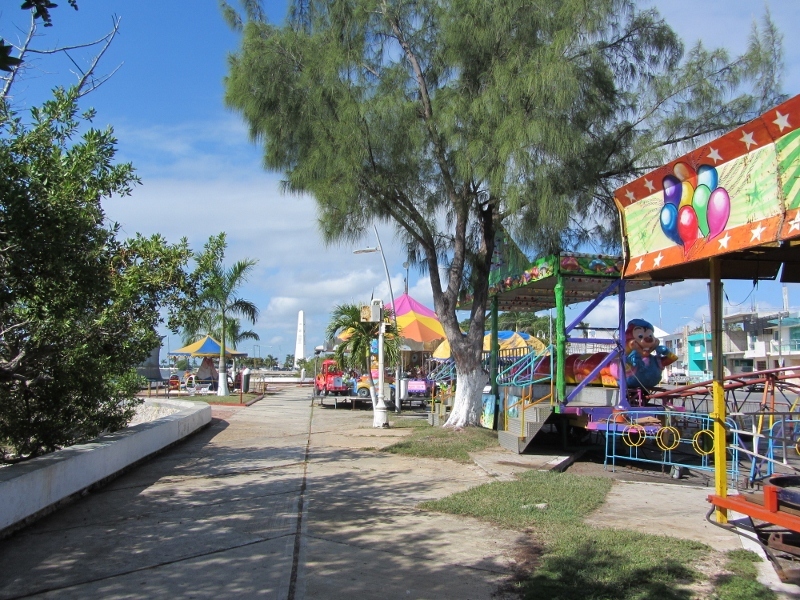 During our visit, there was also a traveling carnival going on. It was closed during the day when we walked past the carnival. It would have been fun to see it at night all lit up and bursting with activity. It’s really hot in Mexico, even in November. Carry water with you. Take your time looking at menus before you chose a restaurant. We walked a few blocks down the Bahia checking out the atmosphere and looking at the menus posted outside before making a choice. Before you head to any attractions in Mexico during the afternoon, check and find out if they close for siesta. 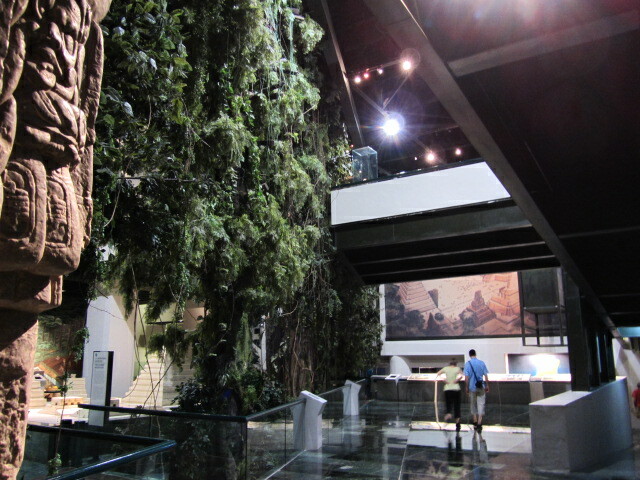 When we arrived at the museum around 5 pm, there wasn’t anyone in the ticket office. 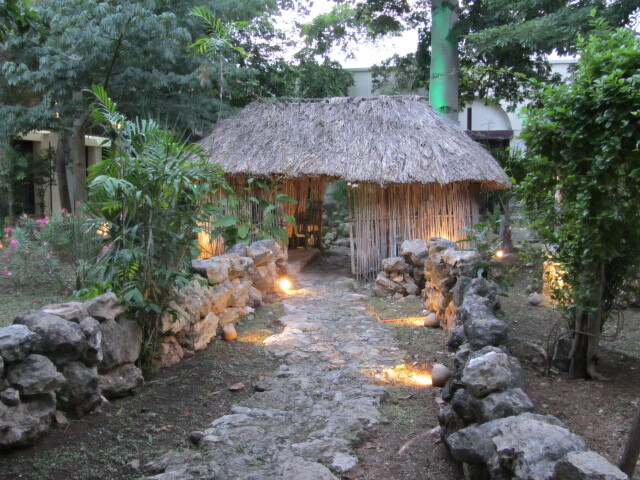 We wandered around the gardens and was about to give up when the workers returned to their posts to re-open after siesta. Neither the guidebooks or the signs mentioned closing. We were there during off season and maybe that’s why it was closed for a few hours. It’s worth asking at your hotel before you solidify plans.